This concert was originally advertised as being at a different venue and on a different date. Please note the change to Friday 22nd March at St Bride’s, Fleet Street due to circumstances beyond our control. Please also note that the telephone number on the flyer should read 0800 411 8881. 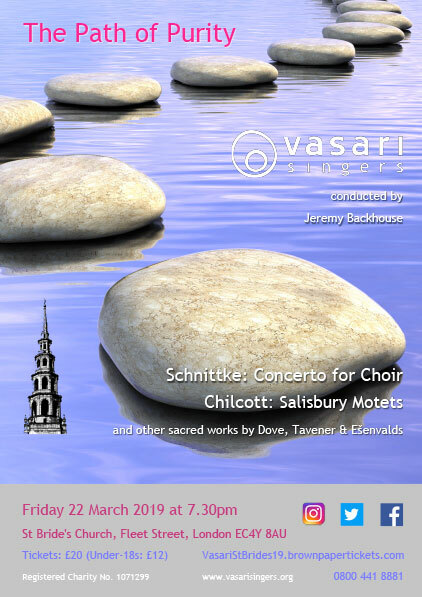 A programme of 20th-century sacred music featuring Schnittke’s extraordinary work the Concerto for Choir alongside powerful pieces by Tavener, Ešenvalds and Chilcott.